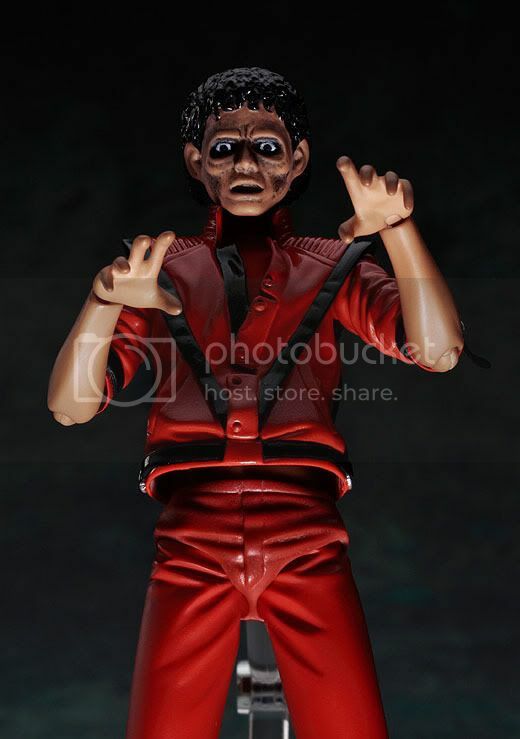 Multiseven et Cetera: Preview: Figma Michael Jackson Thriller ver. 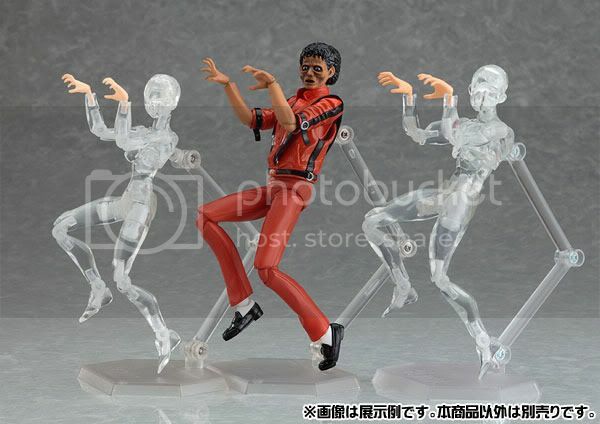 Max Factory is going to release the Figma Michael Jackson Thriller version action figure and is under license by Ecbizz Japan Co., Ltd., Tokyo/Japan Triumph International, Inc./U.S.A. 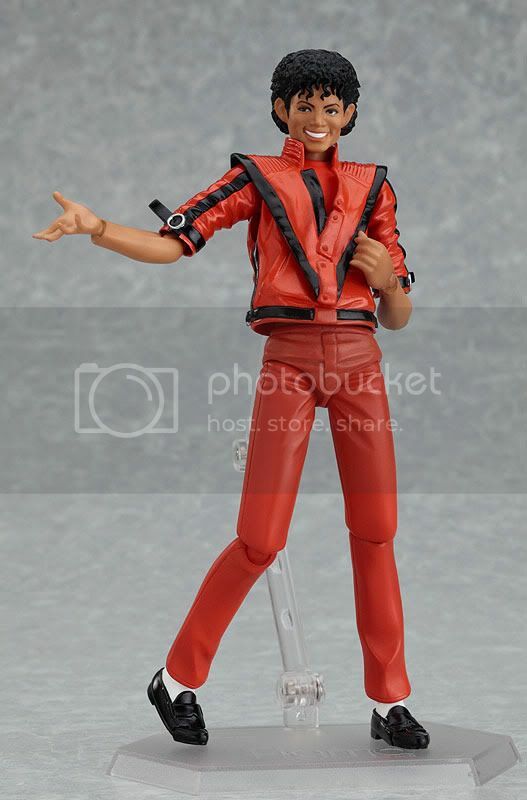 This figure is approximately 140mm in height and will be released in April 2011 around 2,667 yen. The King of Pop is back! 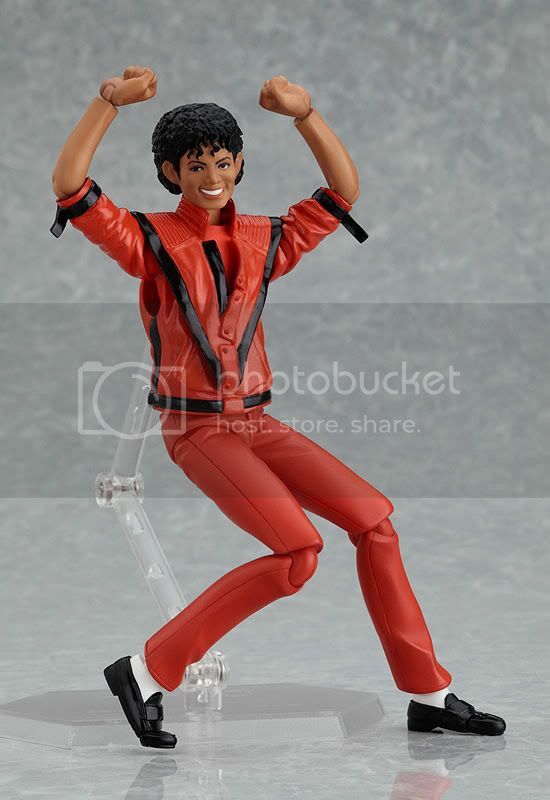 Michael Jackson now has joining the figma world in the outfit from one of his signature pieces "Thriller". 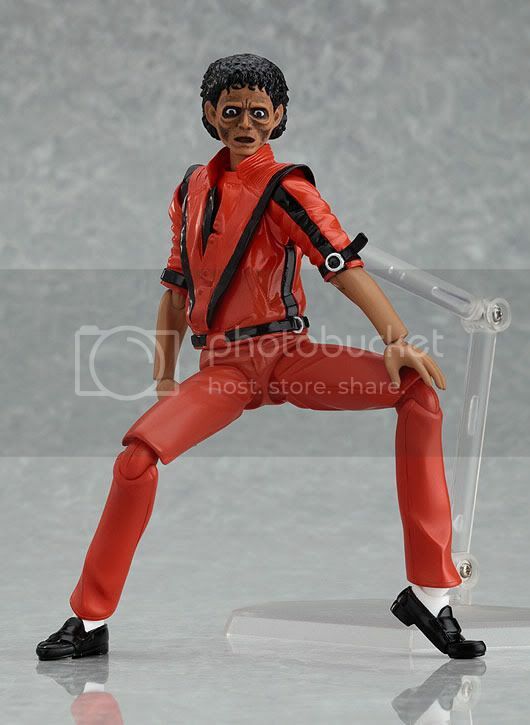 The zombie face needed for the "Thriller" rendition is included also. 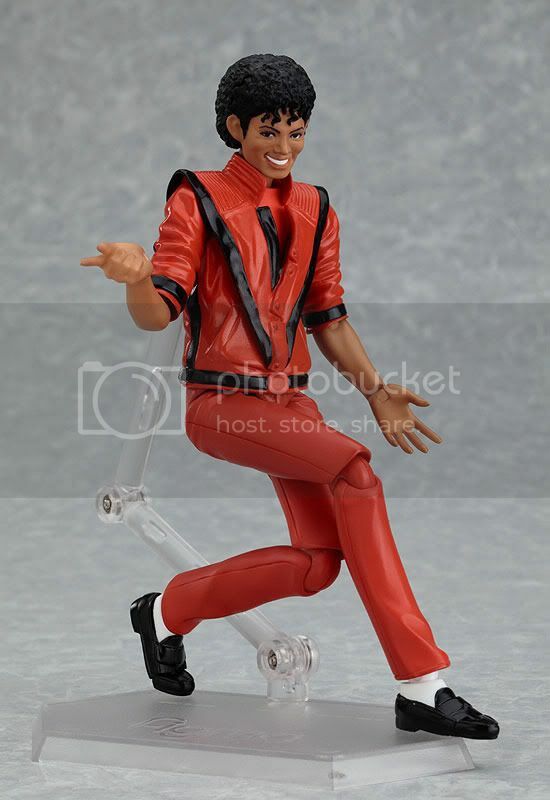 Michael can even walk on tip-toe using the all new joints in his feet. You will also get a set for both male and female figma. Very nice addition!